2nd December at 4.00pm at St John Baptist, Broughton. 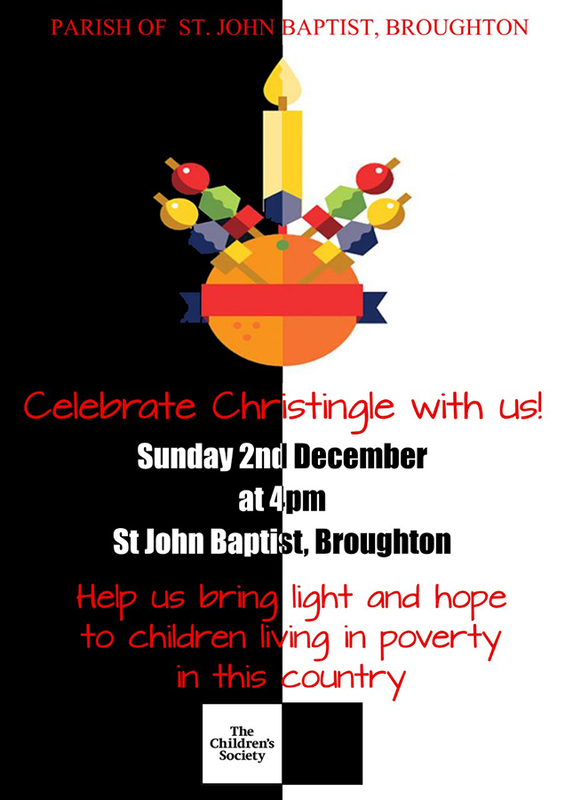 Come and celebrate the Parish Christingle Service for children of all ages! All funds to help the great work of the Children’s society.